Here’s a fun yet informational segment that we have decided to include in our blog. 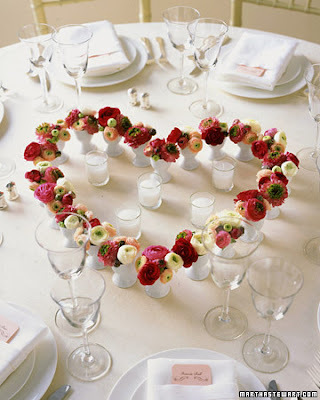 Very often, brides bring in or email us their inspiration photos for their bouquets or centerpieces. These pictures are helpful in getting an idea of style, color, textures, etc. However, occasionally these photos from wedding websites or magazines can be counter-productive and/or misleading. This new segment will address these inspiration photos. We will attempt to “do the math” on pricing and other specific details of the photo to let you know if these inspirations are do-able for your event. Our first inspiration picture for “Let’s Do the Math” is one that we have seen several times in consultations. This picture of a very simple silver julep cup is somewhat deceiving. It appears to be a simple cluster of flowers tucked in the silver cup that could be used as a table decoration. The reality is, this simple cup with flowers is about 8 inches tall and 5 inches wide, which is impossible to tell from the picture. It would be about the size you would see on a cocktail table. 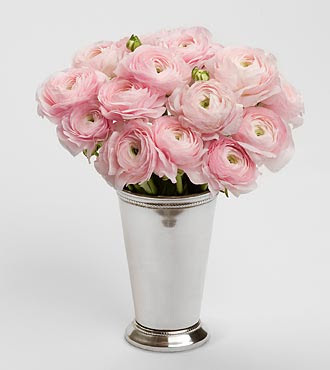 The julep cup is filled with a small flower called ranunculus. On average, ranunculus are the size of a quarter, but cost about the same as a rose. So, this picture of an 8 inch, simple cup with flowers would cost the equivalent of 15-20 roses in a vase or approximately $85-$110 in our market. 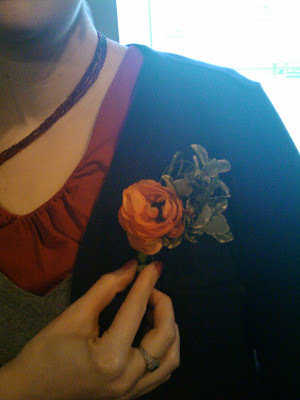 For perspective, here is a ranunculus boutonniere that we did recently for a wedding. In this picture you can easily see the size of an individual bloom. 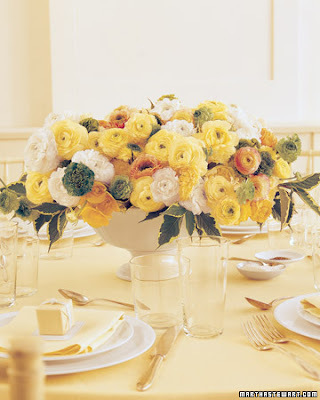 This beautiful, full arrangement of several kinds of ranunculus is shown on a dinner table. You can see in comparison to the dishes that this arrangement is not overly large. We can see approximately 40-45 blooms in this picture and we are only seeing one side of the arrangement. So, we can conservatively estimate 75-80 blooms for the whole arrangement, and upon adding the cost of a similar container, the total arrangement would run around $275-$325 in our market. Now, all that said, there are certainly ways to take this picture (and other pictures like it) as inspiration only and incorporate some ranunculus and other flowers to achieve the same look for less.